The Barelas neighborhood is bounded by Coal Avenue to the north, Broadway to the east, the Rio Grande to the west, and Woodward to the south. Barelas is located just south of downtown. Taking I-25 north or south, exit at Cesar Chavez and head west. Turn right onto 4th Street to enter the heart of Barelas. Bus routes 16/18 run through the neighborhood all day. The Barelas area was settled in the late 1600's, pre-dating Old Town as an established neighborhood. Farming and ranching didn't take place in the area until the 1830s when the water from the Rio Grande was diverted west. In 1880, the Atchison, Topeka and Santa Fe Railroad built tracks through the area's agricultural lands. A roadhouse and repair shop was constructed, which led to an economic boom and further area development. In the latter half of the 20th century, the area suffered a decline. Today, urban revitalization and a redevelopment plan for the Railyards poises Barelas on the brink of an economic boom. And with its deep Hispanic roots, Barelas is now the central hub for Hispanic culture. Barelas is one of the oldest areas of Albuquerque. Originally settled in 1681 by the Jaramillo family. Many Hispanic families settled there and today the neighborhood is primarily Hispanic. The National Hispanic Cultural Center (NHCC) anchors the neighborhood. The NHCC brings the history and culture of Latin America and Hispanic New Mexico to visitors from around the world. Although it is in close proximity to the Rio Grande, Barelas was not an agricultural community until the 1830s. Before that, much of the area was under water. When the river moved west, farming and ranching became established. Barelas was also known as Los Placeros and known as a segment of the community to this day. In 1840, Barelas was recognized by the governor as a New Mexican settlement. Barelas became an economic hub in the late 1800s when the Atchison, Topeka and Santa Fe Railway (AT&SF) built its roadhouse and repair shops in the neighborhood. With the economic boom came commercial development. In 1926, Fourth Street became U.S. Route 66, which prompted the development of automobile based businesses. The area bustled with gas stations, grocery stores, and souvenir shops. Driving down Fourth Street in Barelas, the curvy lines and terra cotta tiles indicate the prevalent architecture of the automobile era. The Barelas Coffee House is a roadhouse restaurant and continues to serve as a gathering place for local political figures as well as a stop off destination for visiting presidents. In the 1970s, the AT&SF converted from steam to diesel locomotors, and the area suffered an economic decline. Repair shops shuttered and U.S. 66 was no longer popular because of the interstate. Barelas saw many houses boarded up. Families were displaced and crime saw an upswing. Since the 1990s, there has been a marked turnaround in the area. Revitalization has taken root. The railyards are undergoing the first stages of redevelopment, with the old blacksmith shops becoming a rental event center. The yards will continue to be developed in stages. The Wheels Museum, which is currently open for special events, will someday be open to the public on a regular basis. And the cultural traditions of the area continue. Each December, the community celebrates with La Posada, re-enacting the journey of Mary and Joseph on their quest to find a place to stay so Mary could give birth. Barelas has deep roots in the past, and a strong hold on the future. Interest in Barelas has grown in the past twenty years, with signs of increasing gentrification. The area's homes are some of the city's oldest, hearkening back to the railroad boom years when the Barelas rail yards employed so much of the city. Affordable housing has also been a recent boon to the area, with the Barelas neighborhood getting assistance from the Sawmill Community Land Trust. The average sale price of homes in the area is about $125,000. 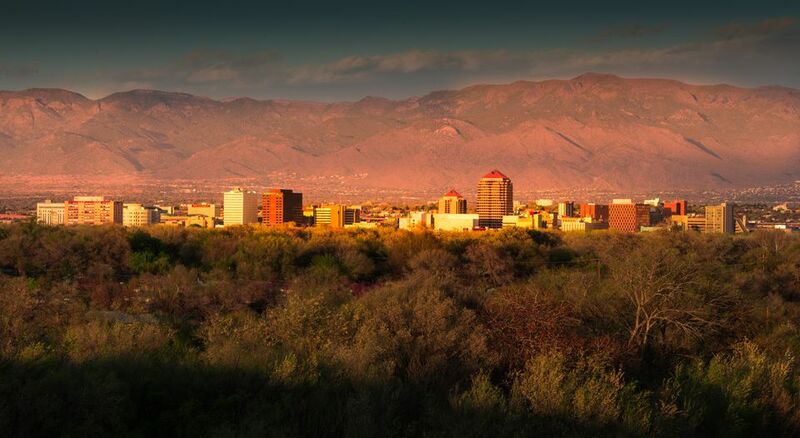 Its close proximity to downtown, museums, Old Town and the University of New Mexico make it a neighborhood to watch. The neighborhood's revitalization makes it a neighborhood on the rise. Barelas Coffee House is a great place to grab a bite to eat. The gift shop at the National Hispanic Cultural Center, La Tiendita, features Latin American and New Mexican books, art, jewelry, music and more. For things to do in town, check out the National Hispanic Cultural Center and the Rio Grande Zoo. The Barelas Neighborhood Association and Barelas Community Coalition work to improve the neighborhood and enhance the lives of those who live there. The Hispano Chamber of Commerce is a member-focused business organization that works to improve the lives of everyone in the community. The Chamber is one of the largest in the country and is the only Hispano Chamber of Commerce that also has a Convention and Tourism Department. Its headquarters are in the heart of the Barelas corridor on 4th Street.